The Ohio Village on the grounds of the Ohio History Connection's center, first opened in 1974 to grand reviews. Since then, the village has gone through several different permutations. Originally, the village was home to a number of craftspeople plying their trade and offering their work for sale. However, with cutbacks in state funding the village had to curtail these activities and some find craftsmen were forced out. In time, the village actually closed to the public for several years. However, the village is now open to the public on a regular basis. While the craftsmen have not returned, there are docents dressed in period clothing that can give a respectible interpretation of what would have been going on in that particular building. There is even cellular phone numbers visitors can dial for specific buildings that will give them a pre-recorded message about the building. Ohio Village has developed a number of special events held in the village throughout the year. Some of the most popular are the Christmas events that includes a special Dickens of a Christmas, and the Christmas Dinners. 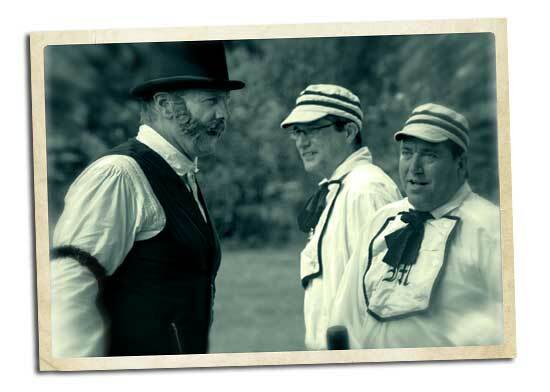 The Muffins baseball team is a throw-back to 1860s style baseball that gives todays visitors and fans a rare opportunity to see baseball played the way it originally was played. 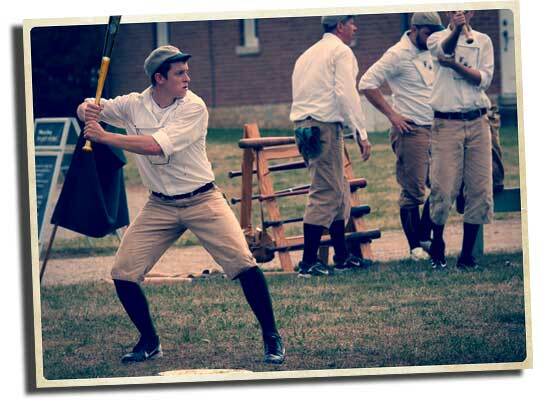 The Vintage Baseball program at the village has gained nationwide attention, especially with its annual Labor Day Vintage Baseball Tournament that attracts teams from all over the midwest.